Extremely popular in Mexican cuisine, the Molcajete is an essential tool for making guacamole and other salsas, and great for grinding herbs and whole spices. Length 8in, Width 8in, Height 5in, Diameter 8in and Capacity 24oz (filled comfortably without overflowing). 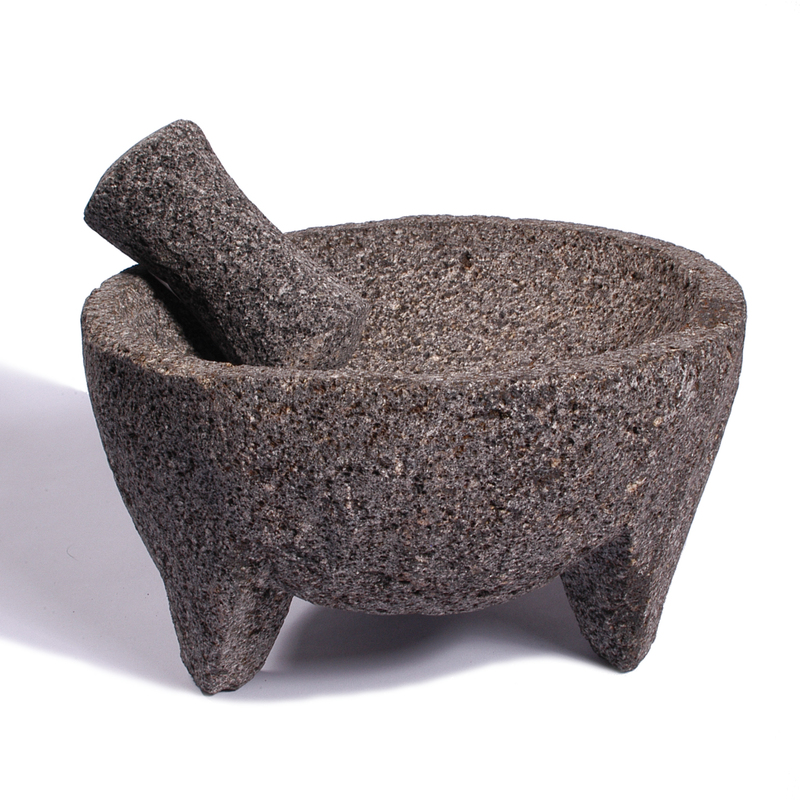 The Molcajetes we carry are completely hand carved by our artisans in Mexico from a single block of the best quality basalt volcanic rock through a laborious chipping process. The well crafted pieces also make for a great presentation on a table to present dips and other sauces. Two piece set including a semi-cylindrically shaped tejolete (pestle), also made of basalt volcanic rock. Will last many years with proper use and care (each piece comes with a product information sheet outlining the Uses and Care for the product). Completely natural and safe, contains no toxins or lead.